A QuiltNSW name badge is available for purchase to wear at QuiltNSW meetings and other quilting events. These can be ordered at the time of membership renewal or, if your membership is current, then you can order a name badge separately using the form below (credit card payment only). You will be directed to the ANZ egate secure payment facility after you have submitted your form. If your payment is successfully processed, your transaction receipt number will appear below. You will also receive a confirmation e-mail including your receipt number and a copy of your order. For groups, please insert the group name as both the first name and the last name. 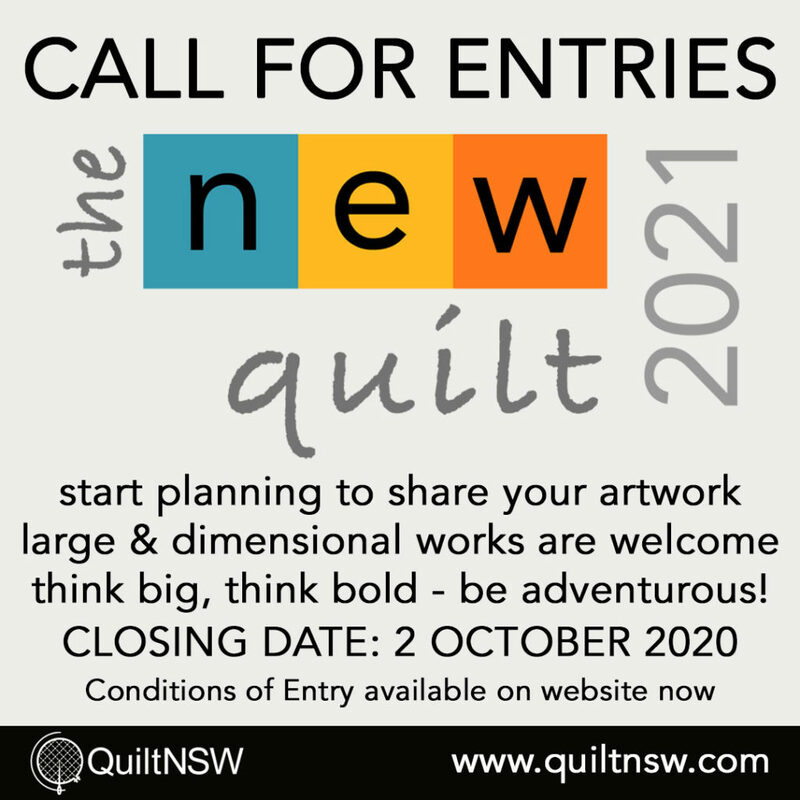 Please use our 2018/2019 Online Membership form to join QuiltNSW and order your name badge. This form is only for current financial members wishing to order a name badge. If your form and payment is successfully processed, you will receive a copy of the completed form by return e-mail together with your receipt details.